Angel R. Kirkconnell represents the injured and their families, exclusively. Through aggressive advocacy, knowledge and preparation, Ms. Kirkconnell ensures that her clients receive all of the medical and indemnity afforded to them by law. Ms. Kirkconnell has the keen ability to exercise compassion and understanding and to obtain the best negotiated settlements possible. She gained her knowledge and experience by representing insurance carriers, third party administrators and employers in all phases of litigation. Her efforts resulted in negotiated settlements on complex and difficult cases. Ms. Kirkconnell has prevailed at numerous complex trials and hearings. Ms. Kirkconnell graduated from Nova Southeastern University in 1997 with honors and went on to obtain her law degree there. 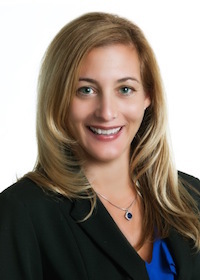 She has 9 years of defense litigation experience and 5 years of aggressively and compassionately representing injured people.